Brandy is talking at length about Latin today with Angela Reed. 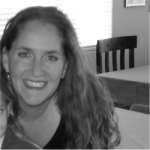 Angela is a homeschooling mother of five in the Sunshine State of Florida. A former classroom teacher, degreed in Classics and Latin and persuaded by Charlotte Mason’s educational philosophy, she channels these enthusiasms onto Instagram: building community with friends @charlottemasonirl, researching how Latin fits within a CM paradigm @thecmlatinproject, and documenting family life, homeschooling, and the day-to-day @athena_amidstthereeds. Brandy asks Angela some of the tough questions we all want answers to: Why Latin first is the New Testament is in Greek? Can I do a modern language instead of Latin? Why Latin at all?? Can I do Latin with my children when I don’t know Latin myself? We tackle these, plus Angela helps us decide which pronunciation to you and shares about some of her favorite curricula. This episode is sponsored by Plan Your Year. Plan Your Year is the homeschool planner that shows you how. It walks you step-by-step through creating a homeschool plan unique to your home, your kids, your family. There are over 40 printable planning pages plus an 80-page planning guide where Pam walks you through creating your plan. Nothing ever expires and you get free updates every year. It’s the only homeschool planner you will ever need. Click here to check out a free sample pack of planning pages. Previous PostSS #36: Is Scholé for Everyone? So delightful! Angela, I love your enthusiasm and the clarity with which you speak. This is the goal of all learning— desire, delight, enlargement of scope and vision, awe, worship. Thank you for sharing ! Thank you & BRING ANGELA BACK!! It was a delight listen and I’m so encouraged to dig deeper into the classics for both myself and my children. It’s been a great Schole Sister’s season! Thanks for all of your hard work. Wasn’t she wonderful? I’m so glad you loved her as much as I did. ♥ We definitely need to bring her back; you are SO right! Is Weelock’s Latin the one she was referring to in the podcast? I thought she said something about a Scottish Latin program. Can you clarify? Thanks! Y’all have made me a bit braver to venture to Latin BUT which do I type of Latin do I choose? We are learning Italian and I do not want to confuse them on pronunciation of their Italian as they learn Latin. Oh, I also my kids are 7, 10 and 12 … should I teach them all from the same curriculum? Is there truly no National Junior Classic League chapter in all of California? Do you know of any way for my DD age 12 to get involved with others who love the Latin language and ancient culture? This is awesome. I was in NJCL for Latin in High School and we used Ecce Romani. I totally fell in love with the language for 3 years thanks to my teacher and the curriculum. As a parent it’s fun to think about sharing this with my children too.